Mother Nature–and in this case, Mother of Pearl–cannot be mimicked or improved upon. 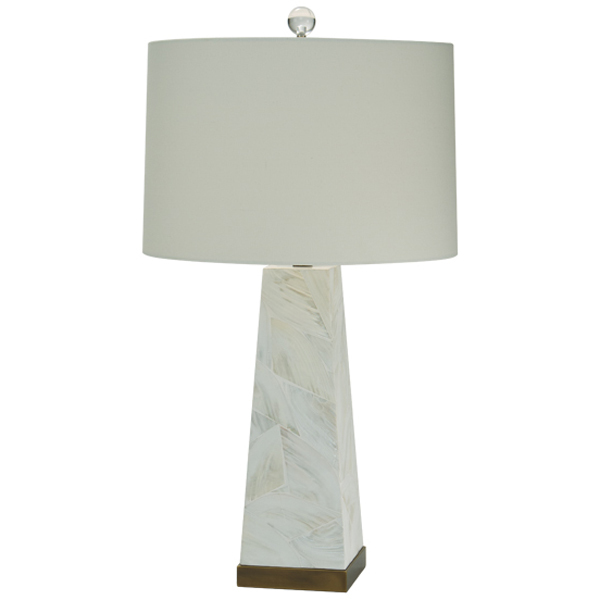 The Natural Light has used the whitest of large shell veneers on this handsome square lamp. 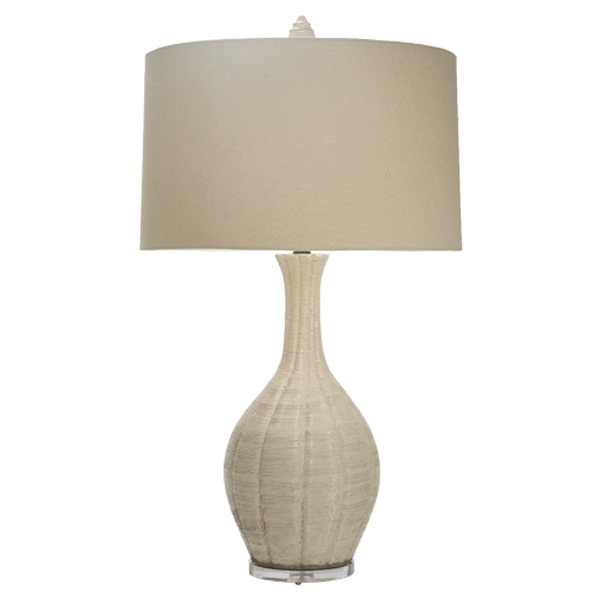 The white shells harbor a fiery undertone, lending a soft sparkle. The lamp narrow at the top in a clean, simple straight line. It is mounted on a square antique brass base. 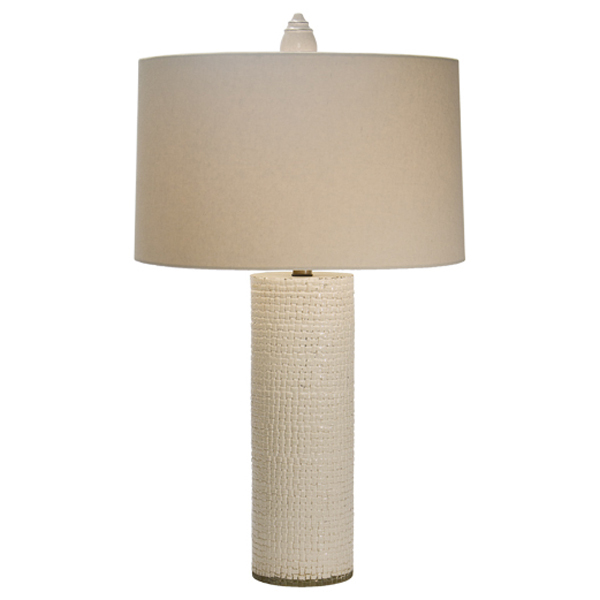 The smooth, sleek lamp has a simple profile but is rich in the tonality of the white shell.